Do Classified Ads in Phoenix, AZ Work? Turn to the classifieds in The Arizona Republic or Phoenix New Times and you’ll see everything from puppies for sale to Phoenix rentals to help wanted ads. While classified ads are inexpensive to run, anywhere from $10 to $55 per ad depending on frequency and publication date, your budget for local advertising in Phoenix, AZ is best spent elsewhere. Daily newspaper circulation decreased 11% for weekdays and 10% for Sundays in 2017 (the lowest since 1945). The health of the newspaper advertising industry continues to decline with an audience that skews older than most media platforms and a service unable to provide the targeted messaging required to reach the specific consumers most likely to frequent your business. Unsure which direct mail advertising style is best for your business? Contact your local media expert at Valpak of Metro Phoenix. A well-designed ad paired with a well-planned marketing strategy will deliver the return on investment you require from your local advertising in Phoenix, AZ. Since 2010, the population of Phoenix, AZ has increased by more than 12%, edging out Philadelphia as the fifth-largest city in the U.S. The cost of living in Phoenix is extremely affordable when compared to other large cities and state capitals, so it’s no surprise that visitors to the Valley choose to move here. These new residents represent potential new customers for your business. The opportunities to grow your business online can seem overwhelming… we can help. As a Google Premier Partner, Valpak of Metro Phoenix meets an extensive list of requirements from Google, including Google Ads certification and delivering client growth and revenue. 1. Compared to the average Metro Phoenix household. Claritas data with current year projections, August 2018. Introduce your business to high-income households in Metro Phoenix and across south-central Arizona: Ahwatukee, Anthem, Arcadia, Arrowhead, Avondale, Biltmore Area, Buckeye, Cave Creek, Central Corridor, Chandler, Estrella Mountain Ranch, Fountain Hills, Gilbert, Glendale, Goodyear, Higley, Litchfield Park, Maricopa, McCormick Ranch, Mesa, Paradise Valley, Peoria, Queen Creek, Red Mountain, Rio Verde, San Tan Valley, Scottsdale, Sun City, Sun Lakes, Surprise, Tempe, Tolleson, Verrado, Waddell. 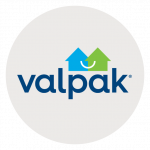 Valpak of Metro Phoenix is an independently owned Valpak franchise. Fantastic Sams in Scottsdale, AZ began advertising with Valpak in 1998 and was immediately impressed with the customer service provided. The full-service salon was looking for a marketing solution to get its name out to local consumers and found it in Valpak. As the years passed, Fantastic Sams recognized the importance of digital marketing solutions to reach millennials and consumers using their smartphones to search for hair care. The salon continues to see its clientele grow year after year through advertising with Valpak. Fantastic Sams plans to continue with Valpak as its ad agency and recommends Valpak local advertising in AZ to its clients and fellow businesses.